Custom 3.5 x 2.5 house shape full color magnet is best way for real estate advertisers to announce their business offerings. There isn’t any better and cost-effective way to say “we can help you to buy a new house” or “we can help you to grab good prices for your home”. 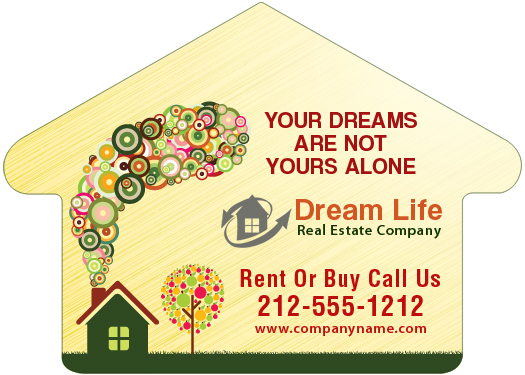 A promotional 3.5 x 2.5 house shape full color magnet makes favorable promotional choice for real estate professionals, land developers, construction houses, area listing agencies, lending agencies and loan payoff charts. A personalized 3.5 x 2.5 house shape full color magnet stands rare chances of disapproval because its shape is affable and they know that it will beautify their plain refrigerator door. Product Size : 3.5 in. x 2.5 in.